The 2016 edition on Migration, Human Development and Poverty Reduction in Mali offers a detailed analysis of the links between migration and human development. It gives the state of human development in the country and also provides information on the issue of migration in Mali. L’édition 2016 dont le thème est : Migration, Développement Humain et Lutte contre la Pauvreté au Mali offre une analyse détaillée sur les liens entre les migrations et le développement humain. Il donne l’état du développement humain dans le pays et renseigne également sur la problématique de la migration au Mali. Sixth in the series, Arab Human Development Report (AHDR) 2016: Youth and the Prospects for Human Development in a Changing Reality examines challenges and opportunities facing youth in the region, especially since the transformative changes that had swept across many Arab countries in 2011. The report provides an evidenced-based overview on youth in the region. It also seeks to stimulate a broad debate between key stakeholders and the youth themselves on the future of development in the Arab States region and best means of involving youth in shaping that future. Para poder avanzar como sociedad es ne- cesario responder, al menos, tres preguntas básicas: 1) ¿qué tenemos?, 2) ¿qué queremos? y, 3) ¿cómo lograrlo? El «cómo» depende en gran medida de la respuesta a las dos pri- meras. La primera pregunta requiere realizar adecuados diagnósticos e interpretar la his- toria de la que deviene la realidad actual. La segunda pregunta es normativa y en contex- tos diversos admite variedad de respuestas, con frecuencia contrapuestas. La calidad con que se pueda responder a la tercera pregunta está en función de lograr acuerdos mínimos con la segunda y de responder con rigor a la primera. Los INDH en Guatemala, publi- cados desde 1998, han analizado distintos aspectos de la compleja realidad nacional, esperando haber contribuido a responder a la primera pregunta. Este nuevo INDH es- pera dar elementos para el debate sobre las condiciones de posibilidad para abordar la segunda pregunta. 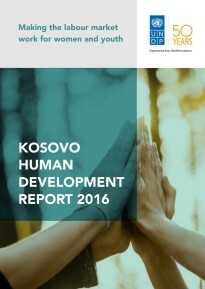 Widespread unemployment and inactivity, especially among women and youth, leaves an ample amount of human potential unused, misused or underused all of which are considered human deprivations that inhibit sustainable development argues the Kosovo Human Development Report (KHDR) 2016 titled Making the labour market work for women and youth. The Report is both timely and highly appropriate taking into consideration that for majority of citizens of Kosovo unemployment and lack of economic development continue to be the most critical problems they are currently facing. With this in mind, the primary objective of the KHDR is the provision of a high quality piece of research which stimulates public discussion and improves evidence-based policymaking in the fields of labour market and development.